Brown diamonds, also referred to as chocolate, champagne, and cognac, are among the more affordable fancy color diamonds because there are so many available. Still, as part of the world of color diamonds, they attract many customers with an array of questions. In order to provide you with some of the most useful information about these stones and the best ways to go about purchasing them, we have come up with a list of the most frequently asked question about brown diamonds. 1. What are brown diamonds and are they real? 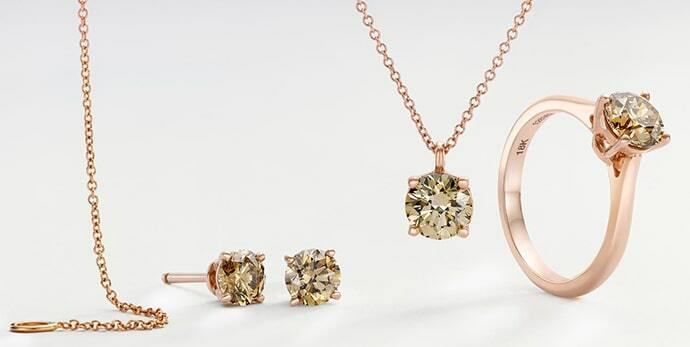 The first question most people seem to have is: what are brown diamonds to begin with? Well, for those of you unfamiliar with the term fancy color diamonds, welcome to a whole new world of 100% natural diamonds, filled with the most miraculous colors. 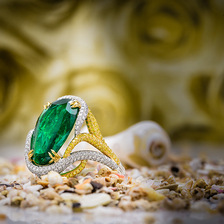 Although the word diamond brings up instant images of a clear, colorless stone, diamonds can actually be found in a rainbow of colors ranging from red to brown and an opaque black to a bright canary vivid yellow stone. These stones can be found with a beautiful brown coloring present in the stone. Like all color diamonds, brown diamonds are mainly graded based on their color, which is broken down into color and color intensity. 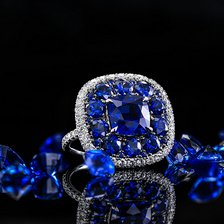 Obviously, the purer and the more vivid the color, the more valuable the stone. 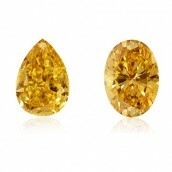 Check out our collection of natural brown diamonds. 2. Are brown diamonds expensive? Asking whether or not brown diamonds are expensive is almost like asking whether cars are pricey. Diamonds, like cars, are costly items to begin with. However, their prices vary greatly, and this of course applies to brown diamonds as well. Though brown diamonds are generally more affordable than some other of their color diamond counterparts such as pink diamonds due to their rather abundant production in contrast to many other colors, their prices can still reach staggering numbers. Brown diamond prices depend on the hue and intensity of the color and also the diamond's size, color, clarity level, and cut. A large, low quality stone can be cheaper than a small flawless one. Therefore, each diamond needs to be looked at and considered based on its own individual specifications. 3. How rare are brown diamonds? Let us begin by saying that as gemstones go, all fancy color diamonds are rare. Since color diamonds as a whole are only a tiny fraction of the world's diamonds at what is referred to as gem quality, we are already looking at a very rare specimen. Having said that, brown diamonds do number higher than most other fancy color diamonds and are considered one of the more common and less expensive color diamonds. This does not mean that you will be able to by these precious stones by the dozens, unless you are multi millionaire of course. It does though mean that if you fancy a color diamond and don't have the highest budget, you might just be able to squeeze a brown diamond in. In fact, the lower intensities are even more affordable than a high quality colorless stone, so have a look through our champagne diamond rings. 4.Why are brown diamonds brown? Every diamond is made up of compound elements and may or may or not contain impurities, all which can affect the visual appearance of the stone. Nitrogen, an impurity found in yellow diamonds, is the component responsible for the yellow or brownish coloring. A brown diamond also receives a large part of its unique color from the light that was absorbed through structural defects in the stone's crystal lattice. 5.Where are brown diamonds mined? Brown diamonds are found all around the world, including the famous Argyle mine in Australia and in South Africa. In fact, it was the Argyle mine, which is responsible for a great deal of the world's brown diamond production that turned the rather dull color diamond into a must-have item through an ingenious marketing tactic. The mine dubbed the brown diamond a “champagne diamond,” instantly giving it a classy and desirable image. The plan worked like a charm, and brown diamonds, which are now referred to as cognac diamonds along with chocolate diamonds, are seen as romantic color stones similar in color to some of our famous drinks and foods. 6. Are all brown diamonds real? A brown diamond can naturally brown or real, but not natural. What does that mean? Brown diamonds are diamonds found in nature with a brown color as a result of the compound structure. However, since this is such a rare occurrence, some individuals attempt to achieve the brown hue by enhancing a natural colorless diamond, thus giving it a brown color. These are what are known as artificially enhanced diamonds. 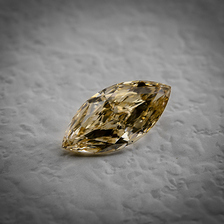 While this type of diamond is a genuine diamond, it is not a genuine brown diamond. Therefore, when shopping for brown diamonds, it is important to clarify that you are looking for a natural brown diamond and not a color enhanced stone. 7. Can brown diamonds be set in jewelry pieces? Not only can a brown diamond be set in a jewelry piece but it absolutely should! There is no reason why any of these miraculous stones shouldn't be showcased in an elegant setting. Wearing jewelry is a great way to keep an eye on the stone at all times and also enables you to show off your beloved investment. 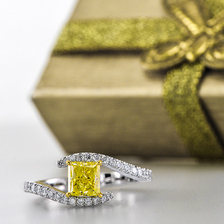 The gold or platinum setting only adds to the piece's value and makes the stone look all that more impressive. Champagne diamonds also contrast really well with colorless stones, so making a 3 stone ring, or pave set champagne diamond ring is a sure way to attract a lot of attention! 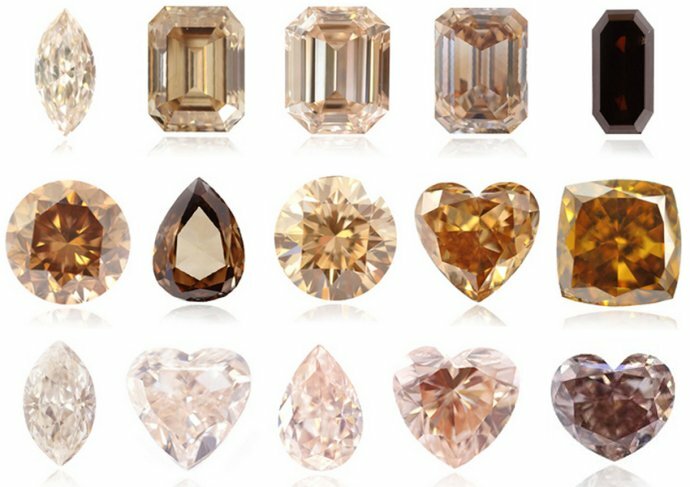 They might not be as bright as canary diamonds or as feminine as pink diamonds, but brown diamonds have much to offer and certainly come in an attractive price range. From a delicate light brown diamond to a deep chocolate colored stone, brown diamonds can be suitable for many personality types as well as skin tones. They are eye catching as studs, a pendant necklace, and of course, as a stunning diamond engagement ring. Always make sure to do the necessary research before your purchase, and enjoy your stone if and when you decide to take the plunge.